Did you know this Saturday is National Trails Day? 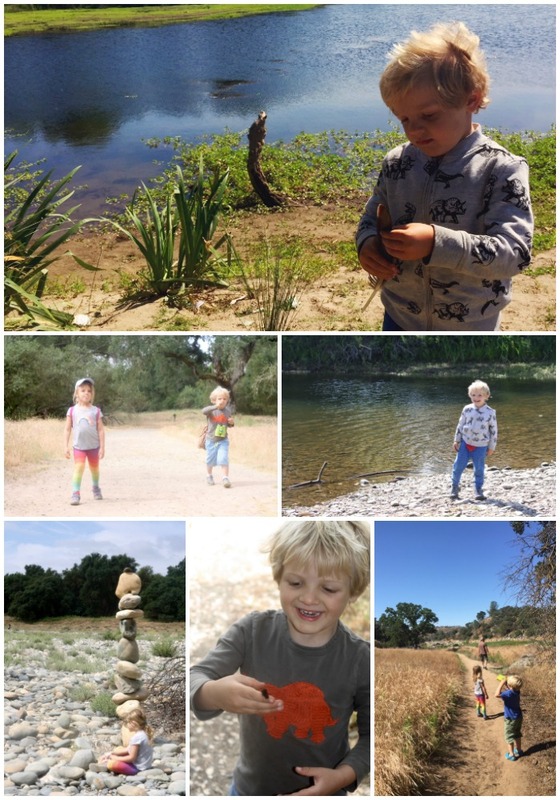 If you follow this blog at all, you know that the Martins like to be outdoors. And as the kids get older they enjoy it more. The love interacting with nature and being able to feel "free" outside. Here are some of our favorite places to go hiking in and around Sacramento. Cosumnes River Preserve - There are lots of fun trails around the preserve here - but our favorite is the boardwalk part of it. It's easy for the kids and if you have a stroller - it is no problem. UC Davis Arboretum - Another really fun spot to explore. We like to park by the horses so we can also give them a carrot or two before we start our walk. We've seen otters in Putah Creek before which is always fun! Hidden Falls Regional Park - I haven't been here with the kids yet - but it is a beautiful place and I am looking forward to finding a good day to take them this Summer. Be sure you check out the information about parking before you head out there. Sac State Arboretum - A small area to explore but so many trees and plants. It is worth checking out - especially if you just want a short outside experience that isn't too far out of town. Jensen Botanical Garden - If you are in the Carmichael / Fair Oaks area - this is a great little place to check out. Fun paths, a little bridge and lots of great spots for pictures (as it is a favorite for photographers.) Worth going during the season when things are in bloom. Have a favorite kid-friendly trail that I missed? Please share in the comments!